Indigenous observations and interpretations of meteorological phenomena are at a much finer scale, have considerable temporal depth and highlight elements that may be marginal or even new to scientists. They focus on elements of significance for local livelihoods, security and well-being, and are thus essential for adaptation. Indigenous peoples’ observations contribute importantly to advancing climate science, by ensuring that assessments of climate change impacts and policies for climate change adaptation are meaningful and applicable at the local level. 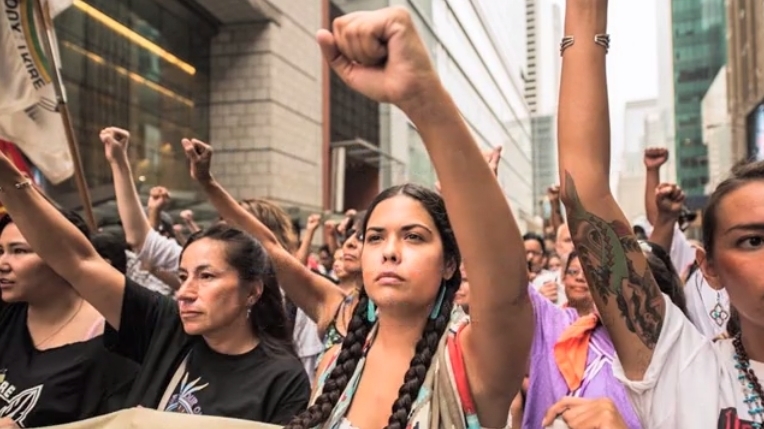 Responses to "Native Women Explain How Indigenous Peoples Are the Key to Surviving Climate Change"
It is almost a lost art. I am white, but I am an earth lover. I smell the rain coming I feel it. I feed the animals and observe their behavior. I garden and believe in natural medicine. I respect the indigenous people. With what I know, I know I could learn much more. I hope there is a time when that may happen. I am humbled by your traditions. I, too, have grave concerns about what is happening to our earth, sky, environment, people and all animals. I have Nez Perce ancestry and know beyond all shadow of a doubt, that all of our people, all Native Americans and all indigenous tribes around the globe have all taken care of mother earth and have always been good stewards of all creatures of the land, sea and air. We've done this for a millennia and more. We have much knowledge to share and impart to healing our earth and all that lives on it. I am personally involved in many groups that care for our earth and animals, sign countless petitions globally in an effort to keep protections in place and to establish laws to protect human rights, animal rights, environment, Native American issues, WWF, Oceanic Conservancy and many other such groups. I use my Facebook page to bring attention to all of these issues. I may only be but one person, but I can lend my voice and signature, every opportunity that I'm given. I feel that if enough other people feel as I do, perhaps many changes for the good can come. It is time for all of us to get involved. Every word this woman spoke in this video rings with truth and heart and soul. I will be sending up prayers and smoke that her voice and countless others be heard and listened to and that what we have to share be incorporated into actions to save our earth. We are many and together we can make many differences. Yeah... I'm sure getting lots of Indigenous Girlgangs is going to solve the problem...which isn't really a problem because if you look at history climate change has long been occurring, sometimes quite radically, well before the industrial age.